Coming soon to a love line near you! Seriously, is anyone going to find love on this drama? Sooner or later, someone will confess to the right person and have the feelings reciprocated. Or at least, I really hope so because the love prospects for our four leads is looking damn depressing right now. And there’s only two episodes left to untangle this knot of love lines! No wonder all these KBS variety shows are tanking…everyone’s too busy with their hot mess love lives. Let’s just stop messing around, and make Chandy & JoonJin happen, okay? Thanks. HIDDEN CONFESSION | Maybe it was Cindy’s onstage confession that got Seung Chan feeling so brave, but he decides that it’s finally time to confess to Ye Jin with an electric flower and a stuffed panda. Alas, he’s a step behind and finds Joon Mo confessing HIS feelings to her by telling her not to move out. When Ye Jin spots Seung Chan, he only gives her the electric flower but not the stuffed panda with his recorded love message. Aw shucks. (TEAM CHANDY!) 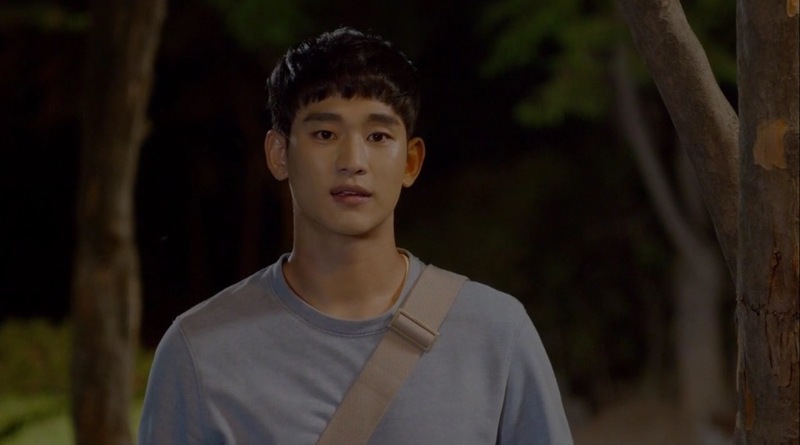 Seriously though, sad Kim Soo Hyun is like the saddest thing ever. But all is not lost because Ye Jin totally didn’t understand what Joon Mo was saying, and just thinks that he wants her to stick around to be his housekeeper. Your secret’s safe with me. MIRROR, MIRROR | After his frustrating conversation with Ye Jin, Seung Chan retreats back to his editing cave to figure out how to express their show’s honesty. 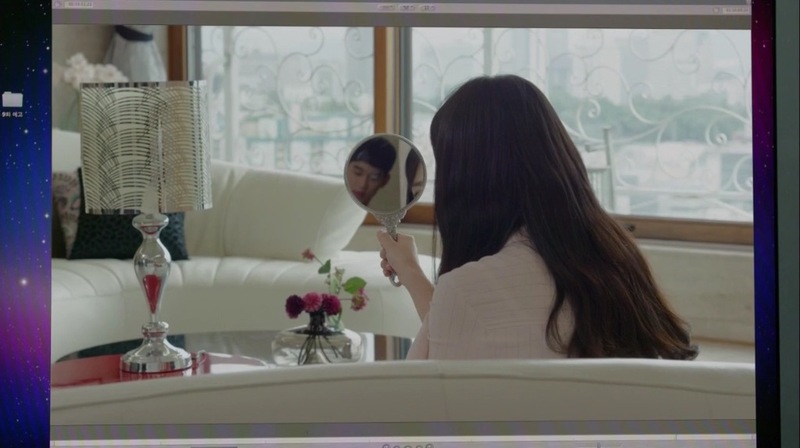 Going through the Cindy clips of when they filmed the segment at her house, he notices that whenever Cindy was looking in her mirror, she was actually looking at him! She would purposely angle the mirror when Seung Chan was standing behind her, so that she could see him. Be still, my Chandy-shipping fangirl heart! COMFORT LEVEL | Joon Mo comes home to find Ye Jin yelling in her room about a mosquito. He tells her to just cover her head and sleep while he catches it. With the blanket protecting her gaze from him, she tells him that she’s moving out. It’s gotten to the point in their relationship where they are so comfortable with each other that it’s making them both confused. She’s unsure if they actually like each other as a man and woman or if it’s just because their close relationship is all they’ve known. That looked like the end of the convo, but when Ye Jin falls asleep, Joon Mo tells her that he’s confused too but is afraid that he’ll lose her if she moves out. WORK YOUR ANGLES | Cindy and two other 2D1N stars get called in to KBS by Seung Chan to do voiceover work for the preview. The idea is for them to record lines that are exact quotes of the concerns that the 2D1N team said about the pilot program, and hopefully the audience will sympathize and watch their show. After the recording, one of the guys asks Cindy if it’s cool that he uploads some pics they took together, but she complains that she doesn’t look good in all of them. When asked for his opinion, Seung Chan says she looks pretty but not as much as in other pictures. He explains which side and angles makes Cindy look the prettiest, which totally gets her blushing and sends her heart fluttering. After everyone else leaves and Cindy is still waiting around for her manager, Seung Chan takes the opportunity to sincerely apologize for what he said to her last time. They’re totally having a moment, but the manager ruins it when he comes rushing in to pick up Cindy. Boo! STAR POWER | Cindy finds out last minute that CEO Byun offered a discount to the event planners of her fan meeting if they included the new girl with her. At the event, none of the fans give a damn about the new girl because well, duh. Cindy throws mad shade at CEO Byun by telling her fans that she’s making her do so many appearances for random crap, which of course gets them all riled up. Afterwards, she straight-up tells CEO Byun that she’s not one to be messed with. Since there are only 10 months left on her contract, they should work together to make sure it’s mutually beneficial. I totally get why Joon Mo hates CEO Byun so much…ugh. DINNER SMALL TALK | Seung Chan’s mom runs into Ye Jin and Joon Mo in the neighborhood while she’s taking out the trash. After finding out that Joon Mo is her son’s direct boss at work, she immediately invites them over for a feast of a dinner. Poor Seung Chan basically becomes the typical embarrassed teenager when his parents go on and on about how amazing and handsome he is. As if the dinner couldn’t get any more awkward, the whole family loves the pilot program that stole 2D1N‘s time slot but trashes Seung Chan’s sympathetic episode preview. Work family meets real family. IT’S NOW OR NEVER | Seung Chan’s dad drags him and Joon Mo away after dinner to play chess, so Ye Jin is left alone in Seung Chan’s bedroom. She accidentally knocks over the stuffed panda on his bookshelf, and yup; we all know what’s coming next. She presses the paw and Seung Chan’s previously recorded love confession for her suddenly plays. After she’s home and had some time to process it, she calls Seung Chan to meet up with her at the nearby playground. Sitting in side by side swings, Ye Jin tells him that she accidentally heard the message. Seung Chan, however, already knew because he noticed the panda had been moved. He asks her if she understood the message, and admits that it was the first time he’s had the courage to admit his feelings for her. Without saying another word, Seung Chan pulls Ye Jin’s swing towards him and kisses her on the lips!